Thick & creamy, tastes delicious & totally healthy – this smoothie is perfect for an on-the-go breakfast or healthy snack! If you’re anything like me – summertime = drinking beers and eating out. So September usually calls for a bit of a diet & wallet re-boot. Hey – I may not be starting school, but that doesn’t mean I can’t try some new habits. (Don’t worry – there’s still plenty of chocolate recipes to come). So it’s time for some healthy recipes. Smoothie time it is! 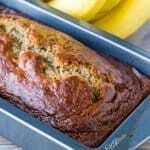 Easy to make, super fast and perfect for those grab & go breakfasts before rushing out the door. Yup – smoothies are a great way to ease back into the swing of healthy eating. 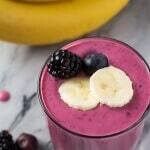 Now, this blueberry banana smoothie is divine! It’s nice and thick from the banana, but it’s the blueberries that really take center stage. 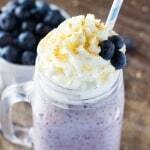 The blueberries are the flavor champion here – plus they give your smoothie such a pretty purple color. And you get a healthy dose of antioxidants. Talk about a winner. Then a bit of plain yogurt adds in calcium and makes your smoothie extra thick & creamy. Feel free to use your favorite variety here – greek, plain, fat free, etc. Then a little sweetness from some honey, and just a touch of vanilla. DELICIOUS! If you have vanilla yogurt on hand instead of plain, you could skip the vanilla & honey altogether. 5 ingredients down to 3 – now that’s efficient. 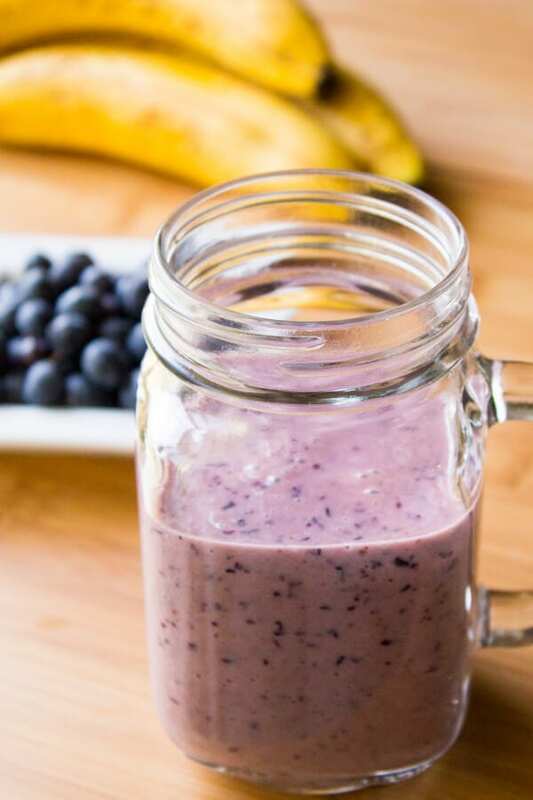 So, whether you’re looking for a healthy breakfast or snack – or if you just love delicious things – this blueberry banana smoothie is perfect. Thick & creamy, tastes delicious & totally healthy - this smoothie is perfect for an on-the-go breakfast or healthy snack! Place all ingredients in the blender and blend until smooth. Pour into a large glass and enjoy.